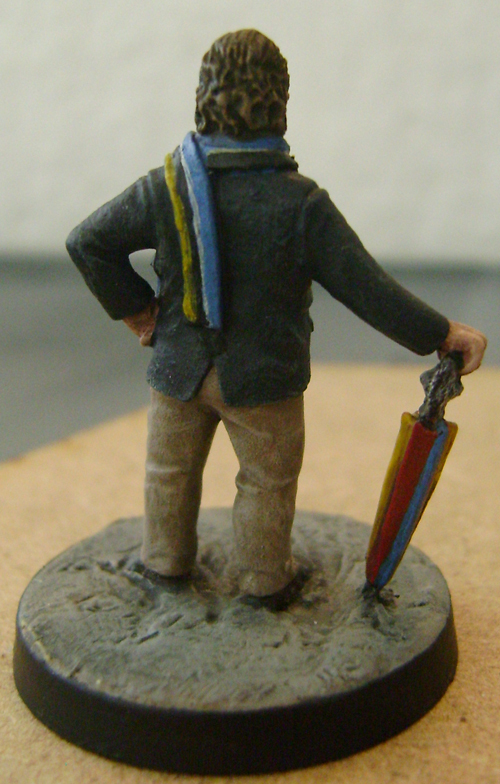 Everything in the Photos are included…..and many hours have been spent painting up the figures especially for the sale, only just finished in time! I don’t think I’ll ever be doing this again, so likely your only chance! For more details see the auctions. “Groooovy baby”…It was just a question of time before Austin Powers found himself being held against his will, alongside a lot of other 1960’s agents in North Wales! Typically he has chosen an outlandish blazer and neckerchief combo from the Village stores, he has been given the number 66…which means he might well be a neighbour of Mrs peel (65) !!!!! 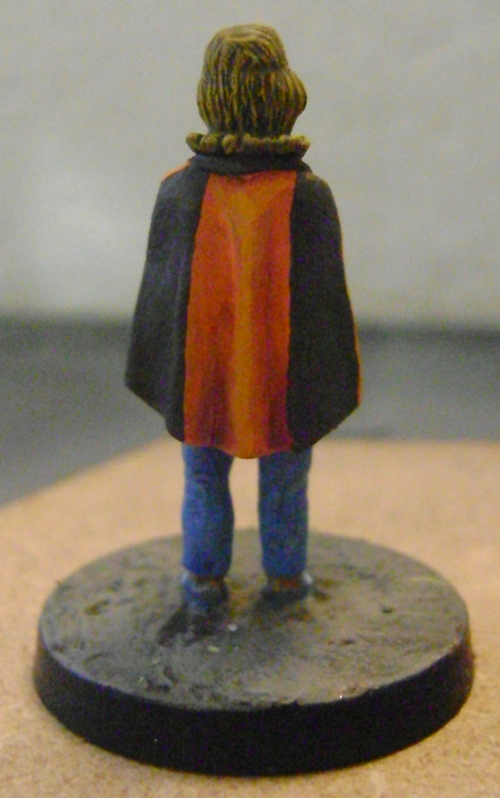 Another new face in the Village………..well, Mrs Peel was already a resident! 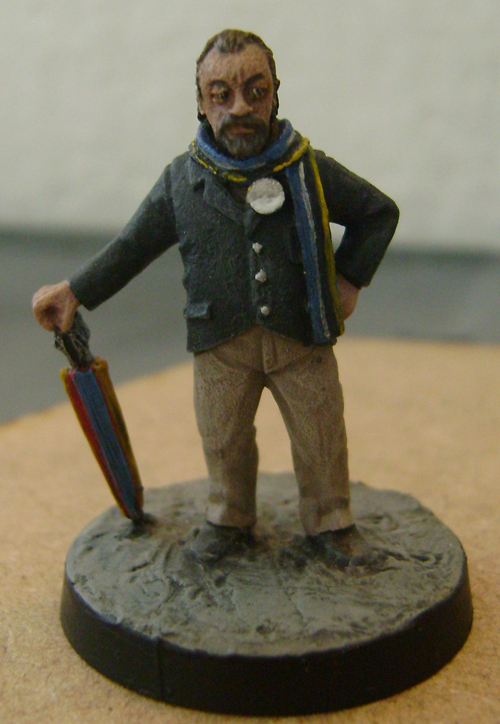 Here is another superb figure from Crooked Dice, pictured standing in front of the Gloriette. In case you were wondering about the title…. There was an Avengers episode which spoofed “The Prisoner” called “wish you were here”…..
Well, its been a while since my last post….but I have made some progress with the village buildings. First on the list was “The Gloriette” which is the centre piece of Portmeirion and features heavily in several episodes of “The Prisoner”. Now I have the basis of the Piazza I will begin to add a details, like walls, plants and all the other features, but at this moment I just wanted to take the time to show you the basic builidng itself. 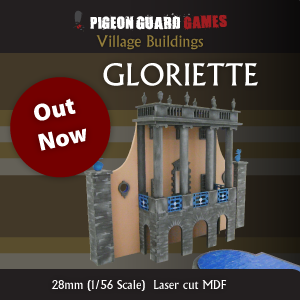 The Gloriette is actually a “Folly” and only has the one main wall. The original builidng’s balcony doorway leads out on to a road, which at the rear of builing is at ground level ! Getting this model produced as been quite a long journey from photos and plans through to 3d software for laser cutting. 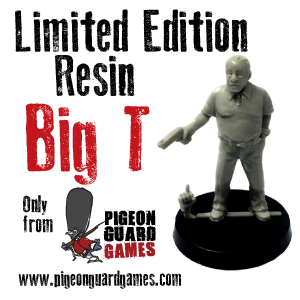 Mike (pigeon guard games) toiled for some time on the detailed sections and produced various pieces of artwork which were beyond my pay scale 😉 Thanks Mike!!! I concentrated my efforts on the simple stuff! I am already working on the next building..news soon. Invaluable in the research phase has been my friend over at “the unmutual” website Rick Davy who visited Portmeirion on several occasions and took huge numbers of photos and other details needed….Thanks Rick ;)……all actual photos of Portmeirion are reproduced here with his kind permission. There are various ways to recreate the water effects in the pond, for this version I used clear resin poured over some 28mm scales leaves that always seem to litter the pond at certain time of year. I then topped off the resin with some acrylic gel to create the ripple effects of water. I am currently working on the Fountain…pictures soon! I thought I would take some shots with my “Villagers” and Mokes in situ. This was a conversion piece. 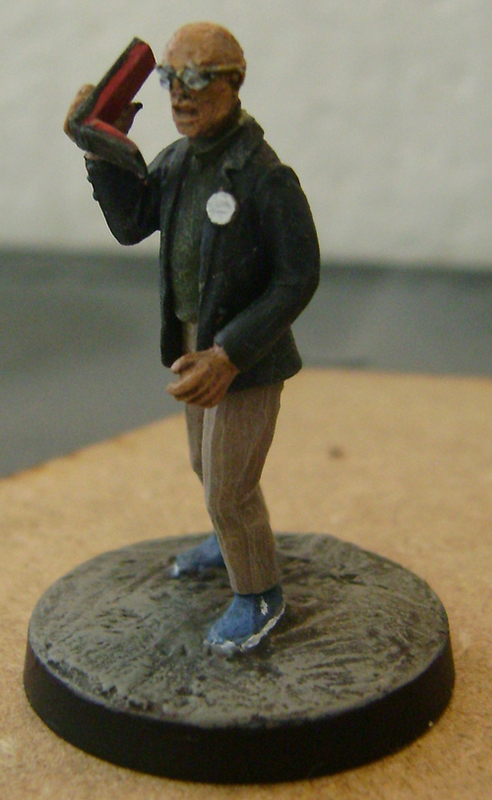 Crooked dice body (ed straker) with minion head also from CD. 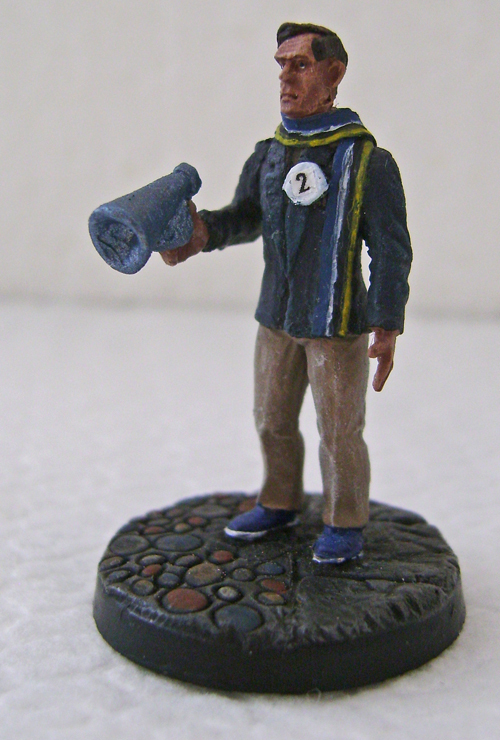 Megaphone from a 28mm ww2 russian officer, arms perry twins, hand Wargames factory, base, scarf and decals my own!!!!! 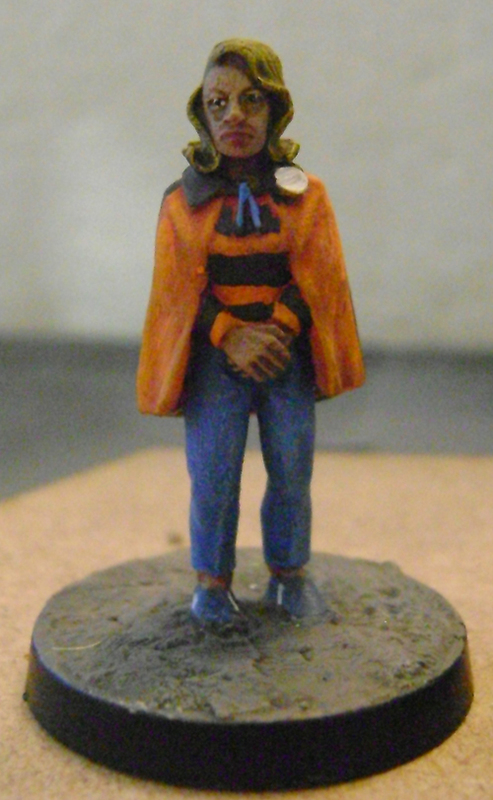 These are from Crooked Dice Games, The Supervisor is a conversion I did of their No6 type Prisoner. Will make a decal sheet with numbers for their badges shortly.